Two Historical Fossils:—The Druzes of Syria and the Samaritans of Palestine are two unique communities not to be found elsewhere in the whole world. Like social fossils in an alien environment, these two peoples have survived for hundreds of years in that land rightly described as a "Babel of tongues" and a "museum of nationalities." The Samaritans are the remnants of the tribes from Assyria and Persia who were transplanted by Sargon some seven hundred years before Christ to take the place of the "ten tribes" who were carried into captivity. They figured in the life of Christ as is illustrated by the case of the "Samaritan woman" and the story of the "good Samaritan." Today they are represented by about one hundred and eighty persons who intermarry among themselves and are becoming rapidly extinct. Their habitat is modern Nāblus (biblical Shechem), and their religion is ancient Judaism mixed with pagan survivals. The Druzes have no such clear record to show regarding their origin as a people and as a sect. Their ethnographical origins, no less than their ritual practices and religious beliefs, are shrouded in mystery. Appearing for the first time on the pages of history at Wādi-al-Taym near Mt. Hermon in anti-Lebanon, as professors of the divinity of the sixth Fāṭimite Caliph in Cairo (996-1020 A.D.), the Druzes have lived their semi-independent lives secluded in their mountain fastnesses of Lebanon, unmindful of the progress of the world around them, and almost entirely forgotten by the outside world. 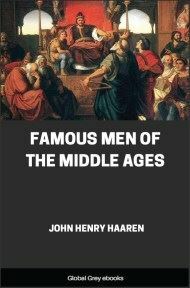 Relation to World Events:—The few occasions throughout their history in which the Druzes attracted international attention were first at the time of the Crusades, when they were entrusted by the Moslems with the military task of guarding the maritime plain against the Franks. They then fought under the banner of Islam and took part in the attacks against the garrisons of Belfort (Qal‘at al-Shaqīf) and of Montfort (Qal‘at Qurayn) in Galilee. Secondly, in the early seventeenth century when their great leader, Fakhr-al-Dīn II (1585-1635), under whom the Druze power reached its zenith, appeared as a refugee from the Sultan of Turkey in the court of the Medicis at Florence. Thirdly, when as a result of their civil wars in 1860 with their Christian neighbors to the north—the Maronites—the French landed a contingent of troops to quell the disturbance which resulted in giving the Lebanon a complete autonomy recognized by the great Powers of Europe. And fourthly, in connection with the recent armed uprising against the French mandate in Syria. Minor Episodes:—In the local history of Syria and the Lebanon, the Druzes have always figured as a compact and warlike community contriving to enjoy in the fastnesses of their mountain a comparative degree of security and independence. The Latin Kingdom of the Crusades, which with its extensive fiefs formed an elongated strip of land based on the sea and widening on the north to Edessa and on the south to Moab, narrowed in the vicinity of Mt. Hermon, the home of the Druzes. Throughout the Ottoman period (1516-1918) the Druzes and their fellow mountaineers, the Maronites, constituted a thorn in the side of the Turks. The Lebanon enjoyed most of the time local autonomy. Even the Druzes of Ḥawrān, the Bashan of the Bible, were not subject to conscription, and repeatedly refused to pay taxes to the Sublime Porte. When Napoleon in 1798-1799 invaded Egypt and Syria, he sought the aid of the governor of the Lebanon, al-Amīr Bashīr. The Druze resistance to the invasion of the Egyptian army under Ibrāhīm Pasha (1831-1838) was one of the factors in hastening the withdrawal of that army from Syrian soil. Other Secret Sects:—The Druze people constitute one of the two leading secret sects found only in Syria, the other being the Nuṣayriyyah inhabiting the mountains north of Tripoli. 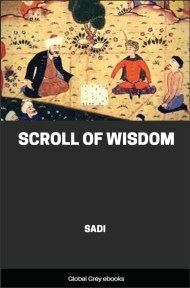 The Ismā‘īliyyah of the Ḥimṣ and Ḥamāh district, another secret sect, are descended from the Assassins, who for two centuries or so struck awe and terror into the hearts of the Crusaders, and are represented today by a few other sectarians in Persia and India. 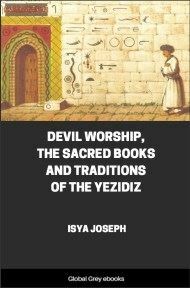 The Yezīdis, so-called devil worshipers, practice their hidden rites in the out-of-the-way hills between Antioch and Aleppo and have coreligionists in Kurdistan and Armenia. Special Interest of this Study:—But of all these sects Druzism is perhaps the most interesting and important. It is still a living force. 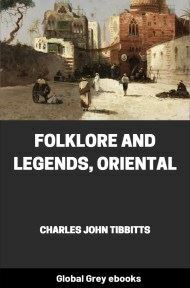 Its followers form to the present day a vigorous and flourishing community in the Lebanon. Its learned system has not changed since it was first inaugurated in the early part of the eleventh century. The Islam of the Near East has changed and adapted itself to the requirements of the varying conditions. 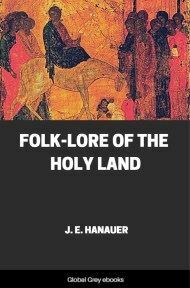 The Christianity of the Near East has changed. But the Druze system has been and still is the same. The modernizing influence has in late years brought within its sphere quite a large number of the young and uninitiated Druzes. The report of the American University of Beirūt for last year indicates that there are in that institution alone thirty-six Druze students and five Druze teachers. But no one with first-hand knowledge of the situation would go so far as even to recognize the existence of a "modernist movement" alleged to be aiming at divulging the Druze beliefs, much less to declare "It is understood that Dr. Bliss of Beirūt will be the probable intermediary of communication with the western world if this disclosure takes place." In fact the outside world knows so little about the contents of this religion that in a recent session of the Permanent Mandates Commission of the League of Nations the question was raised as to whether there was anything in the Druze teachings that was inimical to organized government and to state authority.